A 3.5-year, double-dummy, randomized, placebo-controlled trial, conducted across 235 primary care centers in Sydney Australia has found that paracetamol (trade name: Tylenol, aka acetaminophen), one of the most widely used analgesics in the world, is no more effective in the treatment of back pain than placebo. In a study recounted in the latest issue of The Lancet, researchers led by Hunter Medical Research Institute's Christopher M. Williams spent more than three years randomly dividing over 1600 patients with acute low-back pain into three equally sized experimental groups. The first group received up to 4 weeks of regular doses of acetaminophen (3,990 mg administered three times per day). 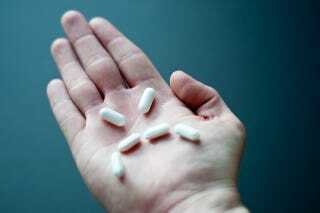 The second group received acetaminophen on an as-needed basis to control pain (up to 4,000 mg per day). The third group was administered placebo. Researchers were primarily interested in how long it took for each patient to recover from low-back pain, "with recovery defined as a pain score of 0 or 1 (on a 0—10 pain scale) sustained for 7 consecutive days." Median time to recovery was 17 days in the regular-dose group; 17 days in the as-needed group; and 16 days in the placebo group. In other words: The researchers observed no significant difference in treatment times between groups. Acetaminophen also had no impact on short-term pain levels, disability, function, sleep quality, or quality of life. What's more, the researchers report that "adherence to regular tablets... and the number of participants reporting adverse events were similar between groups." Our findings suggest that regular or as-needed dosing with paracetamol [acetaminophen] does not affect recovery time compared with placebo in low-back pain, and question the universal endorsement of paracetamol in this patient group. "The results suggest we need to reconsider the universal recommendation to provide paracetamol as a first-line treatment for low-back pain," said Williams in a statement, "although understanding why paracetamol works for other pain states but not low-back pain would help direct future treatments." Read the full study over at The Lancet.